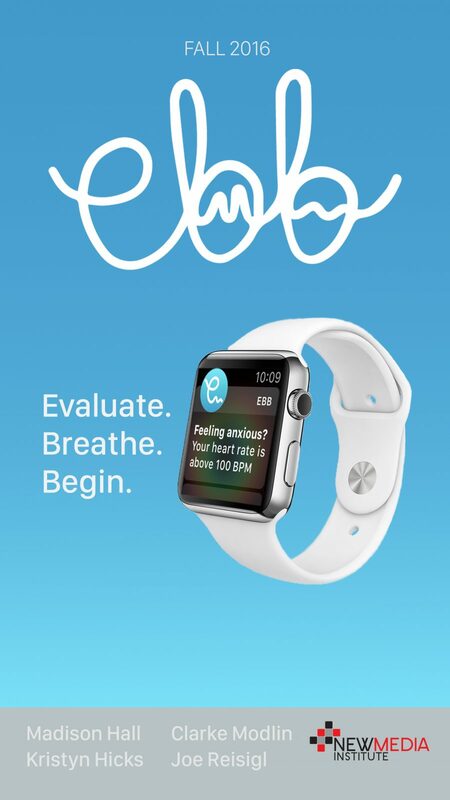 Ebb is a watchOS app that will allow users to monitor their resting heart rate and alert individuals when their resting heart rate spikes in an effort to identify possible anxiety stressors and offer solutions to calm the user and lower their heart rate in a stressful situation. Ebb strives to alleviate the feelings of anxiety millions of Americans face every day. Using the Apple Watch’s heart rate sensor, Ebb will actively check for your heart rate to spike — an indicator that you are stressed or facing anxiety. We hope to create a personal impact for many users that will allow users to combat the daily ebbs and flows. Evaluate: monitor a resting heart rate, alerting the user when the resting heart rate spikes over an average resting heart rate. Breathe: Gives an option with a link to the Apple watch breathing app. Begin: Ebb has multiple activities for users to go through in an effort to lower their stress-level/resting heart rate. Additionally, the iPhone app will also hold these activities along with an electronic journal. The electronic journal allows for users to document and track their symptoms and surroundings to hopefully find a pattern of stressors and possibly share with a professional. Ebb is brought to life with Swift and using Xcode. Ebb lives on iPhones and Apple Watches through iOS and watchOS, respectively.